There is currently a printing problem on the Westlaw platform. This is causing problems for academic sites using Shibboleth and Westlaw are working to fix this for the next update of the platform. In the meantime, we have a workaround which you can use. You will need to create a My Westlaw UK Profile for this. You will also have to use Chrome as your internet browser. • Access Westlaw (from the catalogue, Law subject guide or our database A-Z page). • Log in with your domain details. • You will be prompted to add your First name, Last name and an email address. Please use your @gcu or @caledonian email address. • Click the button to Create your profile. • You will receive a temporary password in an email from Westlaw. 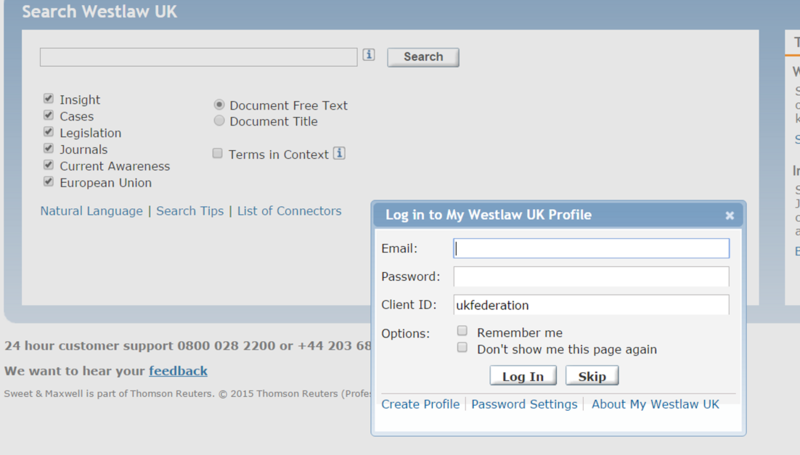 Use this to log in to your MyWestlaw UK Profile where you will be prompted to create a new password. • When logged in to Westlaw with your profile, you can add items to a folder. You can print, email or download items from a folder.